Just a single photo for a change, a sunset on the Swan River in Perth, Western Australia. Taken earlier in the summer while catching up one evening with my niece and her fiance who live in one of Perth’s inner suburbs. I head over to Western Australia again in early March for another holiday so I’ll categorise this post as an exercise in re-acclimatisation! 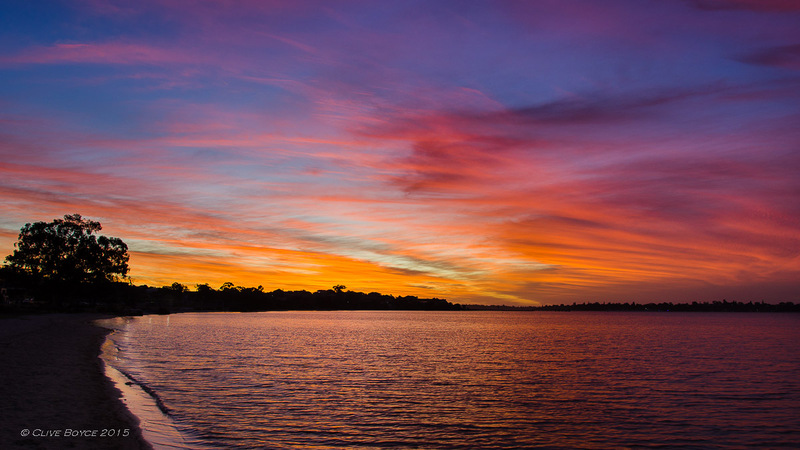 This entry was posted in Western Australia and tagged Perth, Photography, Sunset, Swan River, Western Australia on February 23, 2016 by aussiesouthlander.